The Governor’s Club reigns as one of Brentwood’s most desired subdivisions and the unique listing at 10 Torrey Pines is now available within the gated community. 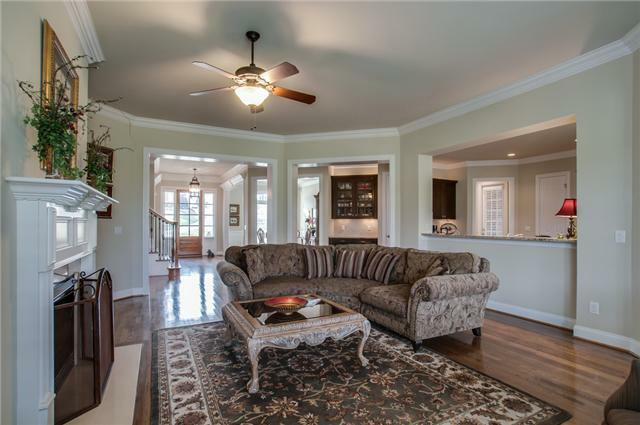 This four-bedroom, 3.5-bath home is quite simply, wonderful. Priced at $729,000 it is also an incredible value given its ideal cul-de-sac location and view of the 17th fairway. The Governor’s Club reigns as one of Brentwood’s most desired subdivisions and the unique listing at 10 Torrey Pines is now available within the gated community. 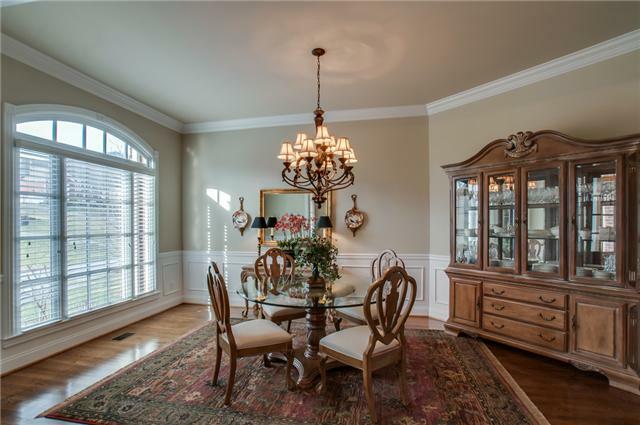 This four-bedroom, 3.5-bath home is quite simply, wonderful. Priced at $729,000 it is also an incredible value given its ideal cul-de-sac location and view of the 17thfairway. 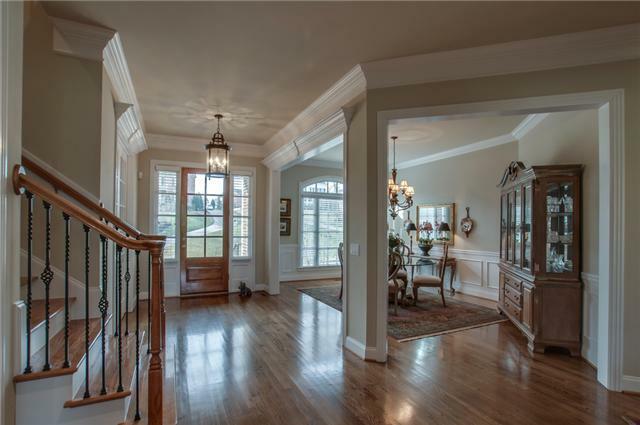 The stately front elevation of the two-story home gives way to an impressive entry. 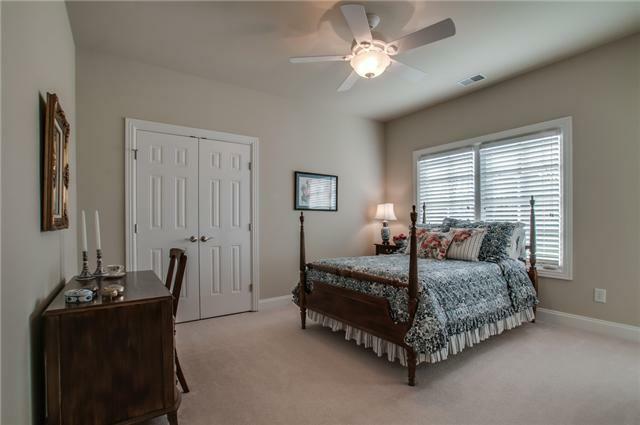 You’ll find gleaming hardwoods, custom finishes, and an open floor plan throughout the main floor. 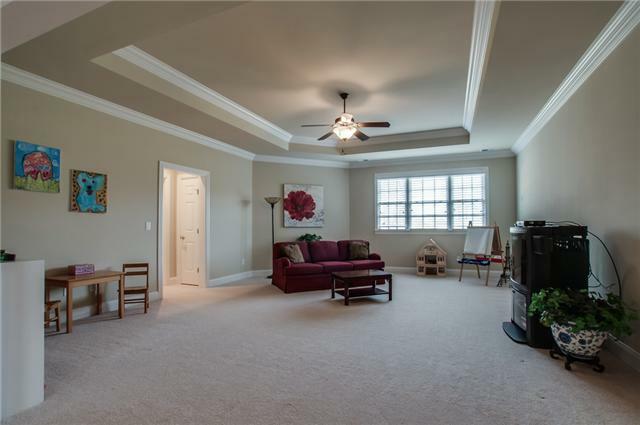 The floor plan has wonderful flow and a great mix of formal and informal living areas. The all-stainless kitchen opens to the family room. 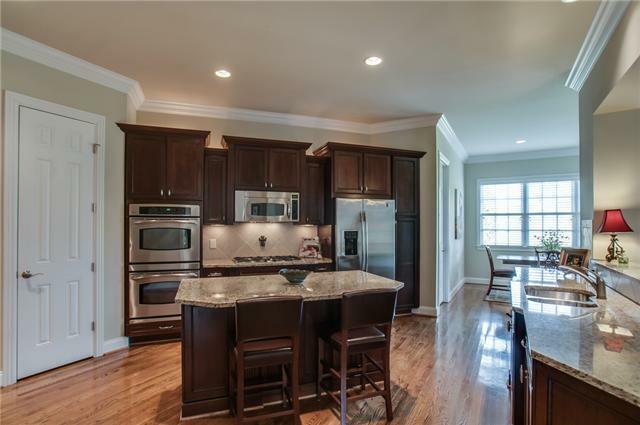 The cook in the family will appreciate the double ovens, gas cooktop, and large center work island with seating for two. 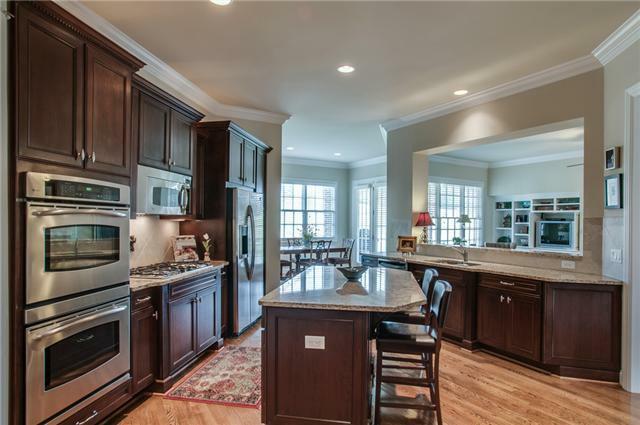 Granite countertops and custom cabinetry complete the room. 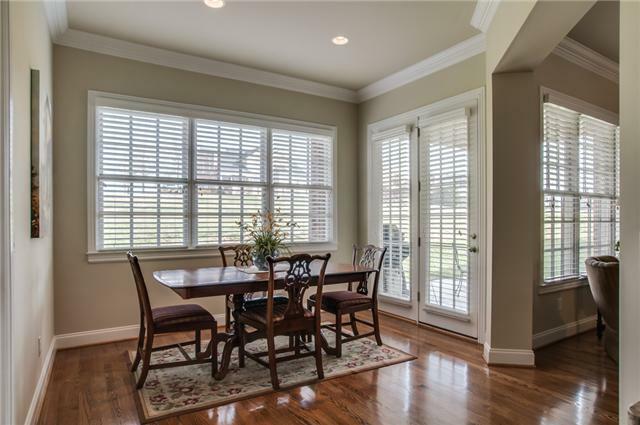 When entertaining a crowd or special family celebrations, the formal dining room will be put to good use, while the breakfast area, with its direct access to the private back patio, is perfect for more informal mealtimes. 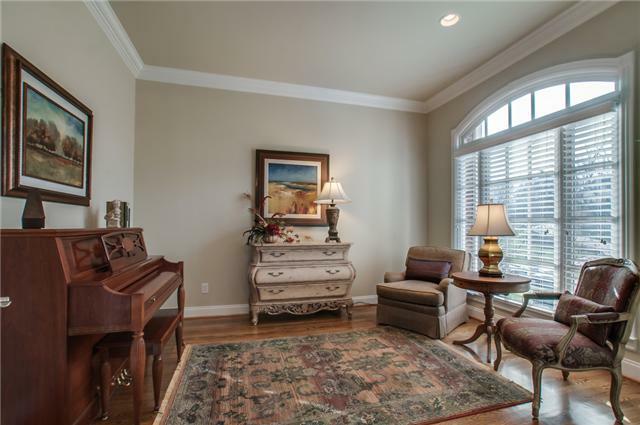 A formal living room can easily transition to a home office, library or study. But it’s the large great room that will be the central gathering spot, with a beautiful fireplace its focal point. The first-floor master has a unique trey ceiling, beautiful crown molding, a sitting area and a private entrance to the private deck – a perfect place to enjoy an early morning cup of joe before facing the day. 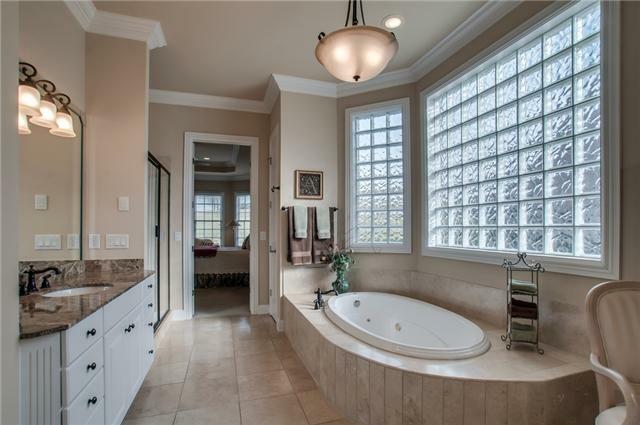 The impressive master bath, with a wall of glass block surrounding the jetted soaking tub rivals any private spa. 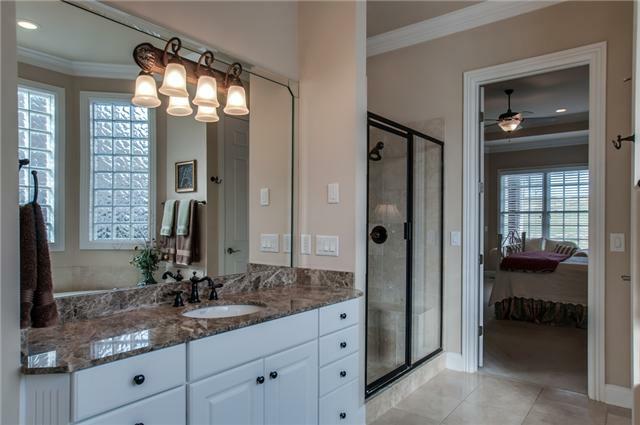 A glassed, walk-in shower with two shower heads and a large vanity with a beautiful granite countertop are also found here. 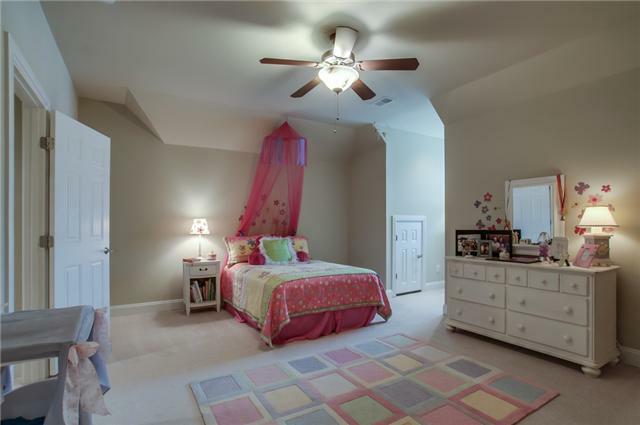 The master suite isn’t the only bedroom worth noting, however. 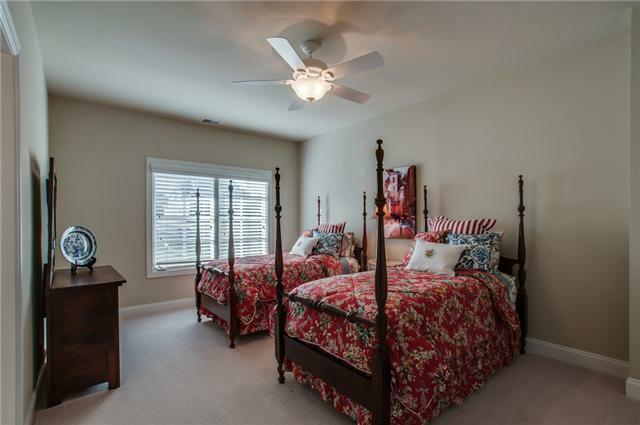 Upstairs, three large bedrooms as well as a huge bonus room offer plenty of private living space for the entire clan. At 4,246 square feet, this home is the perfect size for today’s busy family. 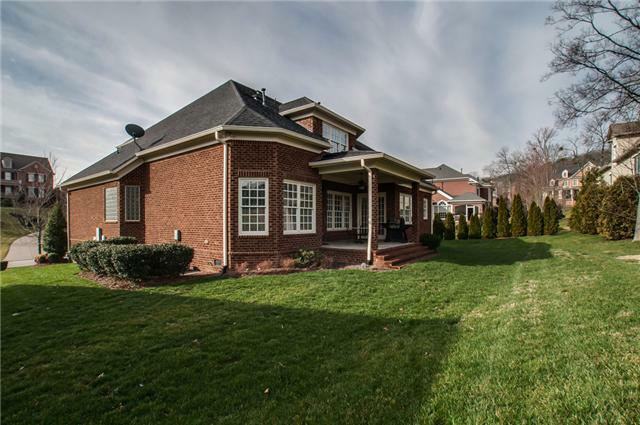 With its neutral interior color scheme and low-maintenance brick exterior and established landscaping, the home built in 2005 is move-in ready. There is parking for 3 vehicles. It is zoned for Crockett Elementary, Woodland Middle and Ravenwood High Schools. 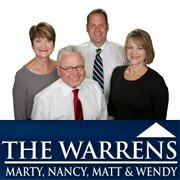 For more information, contact Martin Warren of Fridrich & Clark Realty at 615-263-4800.